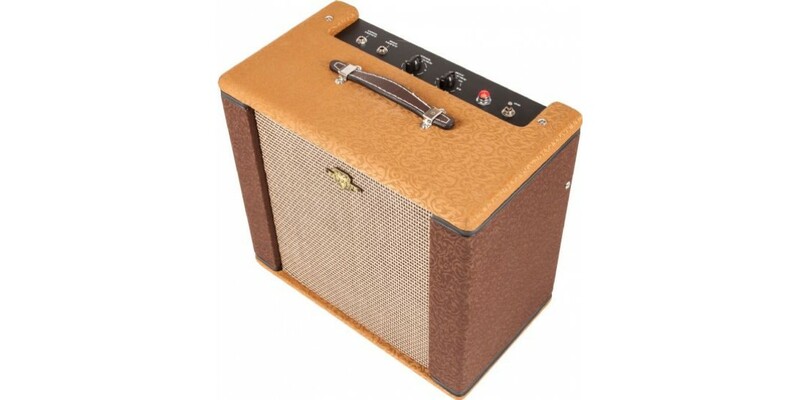 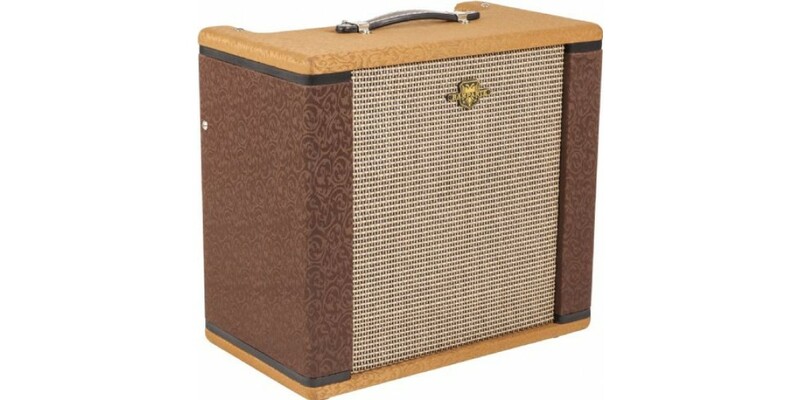 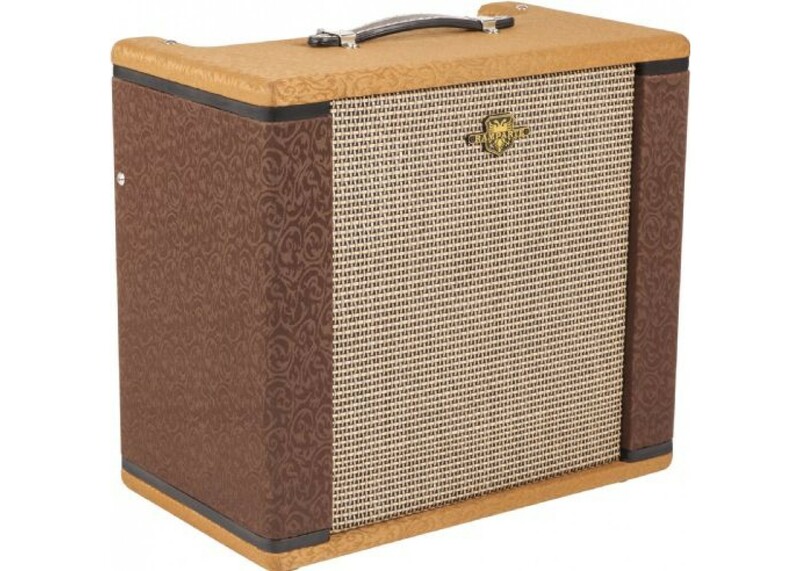 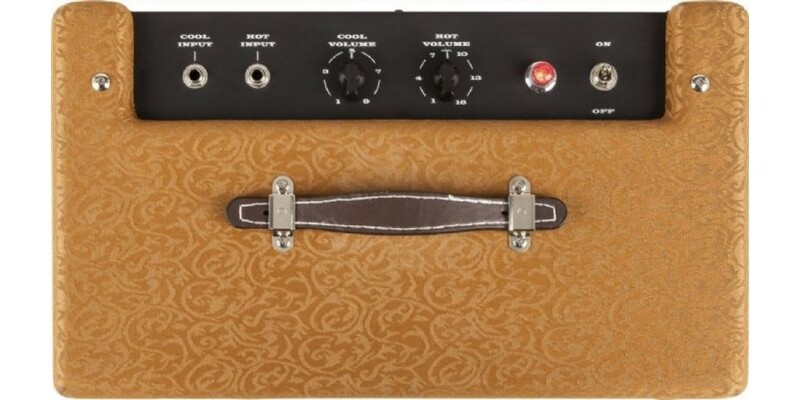 Fender®'s Pawn Shop Special series Ramparte amp looks the part of the perfect pawnshop prize. 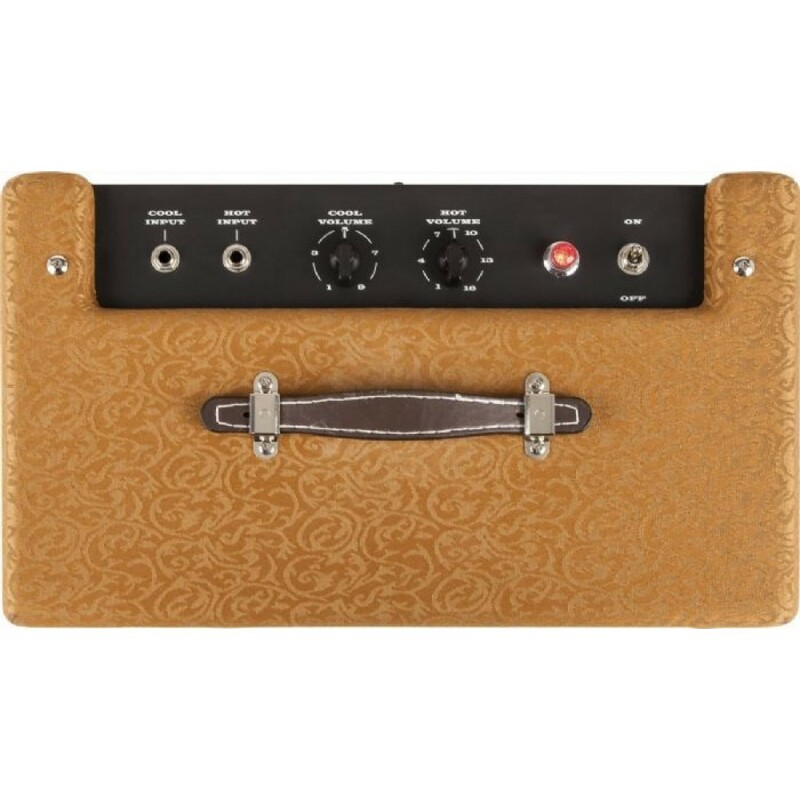 With its tastefully textured two-tone chocolate-and-copper fabric covering, It's right at home in the den or living room next to the recliner and the console stereo. 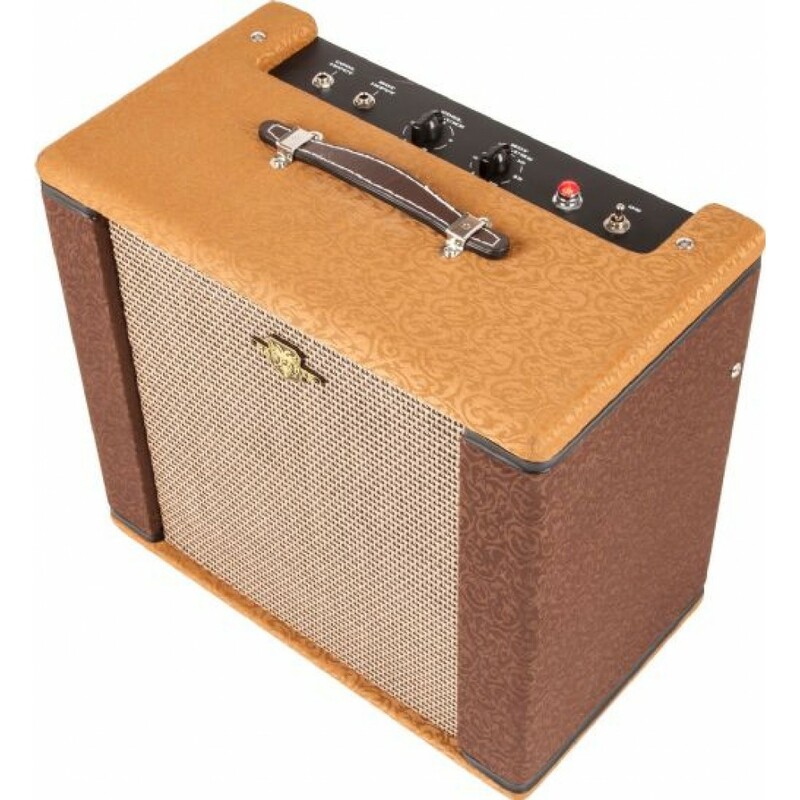 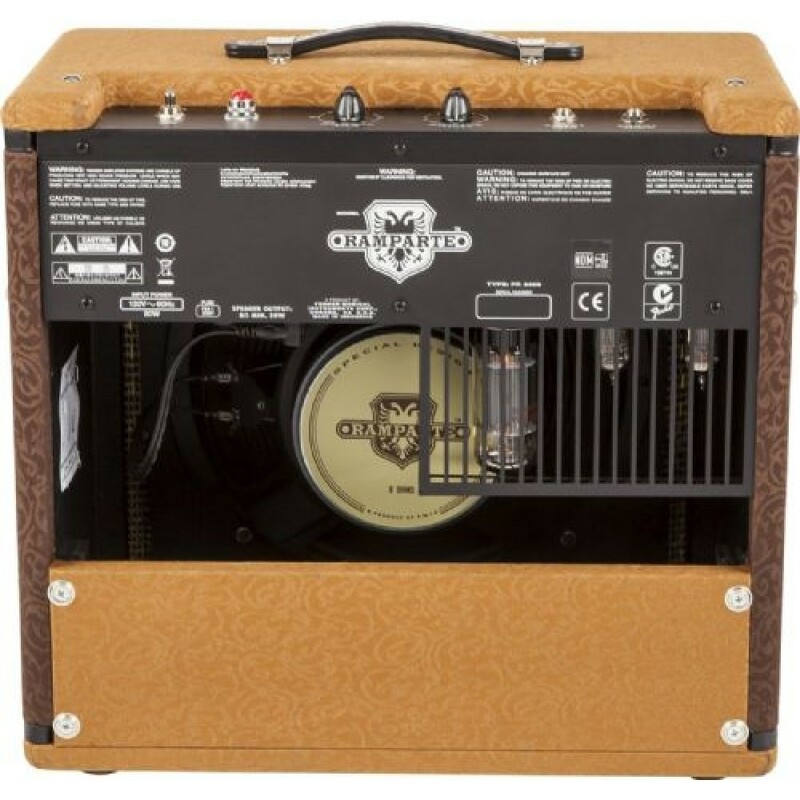 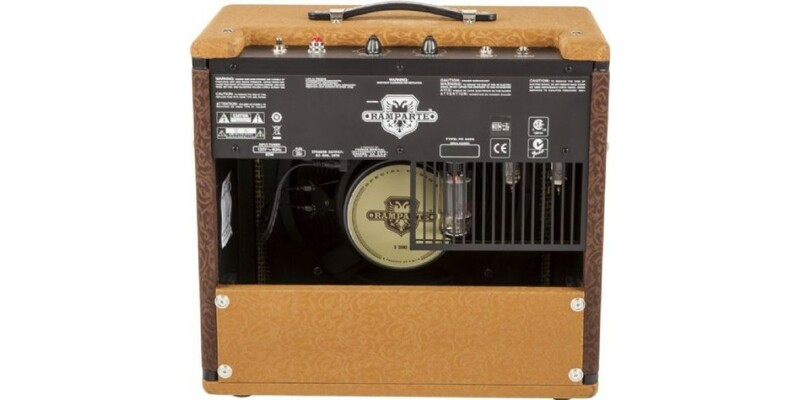 But fire up this diminutive 9-watt beauty and you'll be storming the ramparts of pure tube tone, with huge power and performance from the 12" Special Design speaker and dual "hot" and "cool" channels.